Apple has launched the iPhone 5c, a lower-cost device designed to appeal to buyers that want to get in on the iPhone action, but don’t want to shell out for a top-end model. The 5c was announced today at Apple’s launch event in Cupertino, California. The device will come with a polycarbonate shell and the option of a green, white, blue, pink, or yellow “soft-feel” silicon rubber surround. Key hardware specs include a 4-inch Retina display, 8-megapixel camera and the same A6 processor found in the iPhone 5. There’s also an HD forward-facing Facetime camera too. 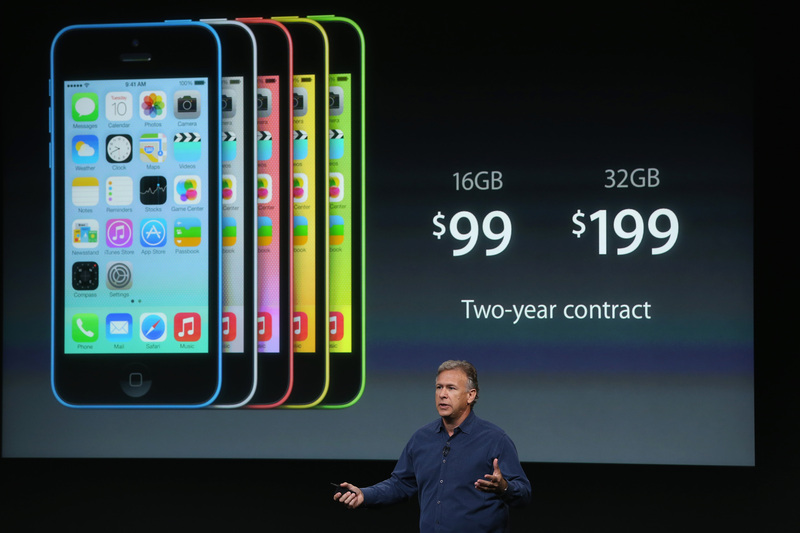 On contract, prices start from $99 in the US for the 16GB version and $199 for the 32GB model. The colored cases are an additional $29 each. Pre-orders start from September 13 and the handsets are due to go on sale from September 20 in the US, UK, Australia, China, Canada, France, Germany, Japan and Singapore. Off-contract pricing for the 16GB 5c is $549 while the 32GB option will set you back $649. While extending the range by adding in lower tier models is not traditionally a territory Apple has been willing to dabble in, the move to include a model with changeable, different colored shells reflects Apple’s desire to make a bigger impression in markets like China, as well as in Europe and domestically.